Pakistan Prime Minister Imran Khan made the announcement in his address to a joint session of the Pakistani parliament. 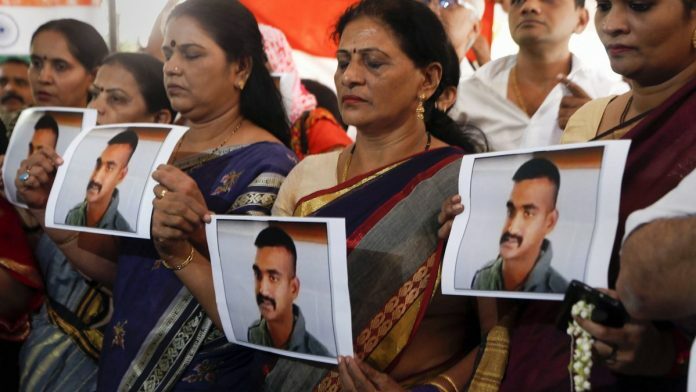 New Delhi: Wing Commander Abhinandan Varthaman will be released Friday, Pakistan Prime Minister Imran Khan has told his country’s parliament. Khan said he had called his Indian counterpart Narendra Modi on Wednesday evening to de-escalate tensions. He also said there were fears that India might launch a missile attack on Pakistan. Khan said he would speak to Turkey Thursday evening seeking mediation with New Delhi. He accused India of creating a fear that Pakistan was resorting to nuclear blackmail. But Islamabad was not doing any such thing, he said. “Pakistan wants peace, it is only working towards bringing peace and stability in this region. This tension is not good for any of the countries,” Khan said. He added that peace would bring economic growth which would in turn bring investment and this would lead to creation of jobs. He said Pakistan retaliated with its air force because it had to defend itself. He also stressed on the fact that the Pakistani army was ready and prepared. Khan’s statement came soon after New Delhi said that Varthaman is not a card Pakistan can use to negotiate with India, and New Delhi expects Islamabad to return him “immediately, safe and unharmed”. The fighter pilot who was captured by Pakistan Wednesday is an Indian and there is nothing for New Delhi to negotiate with Islamabad about his return, the sources said. Varthaman was captured by Pakistani forces after his MiG-21 fighter jet was shot and downed during a confrontation with Pakistani F-16s that had entered Indian airspace and dropped bombs near Indian military installations in the Nowshera area of Jammu and Kashmir. Varthaman ejected from his aircraft and landed across the Line of Control in Pakistan-occupied Kashmir. This is very good news, the better sense has prevailed. Now Pakistan should go back to brooding over why Pulwama attack happened, and Indian forces should brood over why a GLARING intelligence failure happened when a fedayeen attack had already once happened in Kashmir and its repetition was always a possibility. Allah be praised. In the short time that Imran Khan has been Prime Minister, one cannot recall any unbecoming statement he has made about India or his country’s relationship with us. Releasing Wing Commander Abhinandan will be far more in Pakistan’s interest than detaining him any further. Nuclear adversaries can not afford to shoot from the hip, playing to the gallery.